In the old days, contact centre technology came in a large tin box (or two). Then came software-based solutions. Now you can buy contact centre solutions in hosted or cloud-based offerings. So how do you navigate which technology option is best for your contact centre? We asked our panel of experts for their guidance. If you have a lot of agents working in one location, the chances are that for telephony-related contact centre applications, on-premise solutions are going to be the perfect fit. They are straightforward to implement and the telephony routing costs associated with a hosted model may prove too high. The pain of routing high volumes would be effectively outweighed by the benefits of using a customer premise equipment (CPE) approach. For applications that do not involve telephony, cloud-based solutions may still be a very strong option. For smaller, geographically distributed or home-working organisations where it can be challenging to source good quality telephony applications which cater for the needs of smaller businesses, hosted telephony (recording, ACD, IVR, queuing, agent reporting and management, etc.) is probably an ideal fit. Not only do you get access to technology which shares many of the features used within large enterprises, but you also get flexibility in your payment and usage options. If we look at hosted call recording as an example, if you have a number of small contact centres located across the country, a unified bucket of call recordings can be created from across all of those centres and centrally accessed. 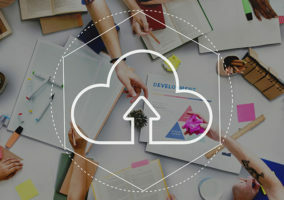 However, a note of caution when considering hosted inbound recording: if it is important to your business to use existing local telephone numbers rather than non-geographic numbers (NGNs) or new geographic numbers (GNs), then CPE will be a better option due to the challenges of routing calls in a cloud-based system. What are the capabilities of your IT staff? The other point to note is to first assess your internal resources before making a decision. Do you have staff available and capable of looking after on-premise technology? It is an asset your business will own and it will be up to you to drive as much benefit and leverage all the key features and functionality. On the flip side of that, you should find that hosted technology vendors will often provide feature-rich applications which are constantly being developed, with very little input from you and with no costly upgrade charges associated. A managed service approach can usually be applied to both hosted and on-premise solutions, dependent on the needs of your business, and the decision on this again may be down to internal resourcing. Lastly, financing may be a consideration at point of purchase. Is your business model based around operating expenditure (Opex) or capital expenditure (Capex)? Opex, paying only for what you use, as you use it, lends itself nicely to hosted and cloud-based services, whereas Capex better suits large up-front, asset-based on-premise solutions. Out of the options of contact centre technology, the on-premise is the oldest and is perhaps viewed as the safe option. It feels right to be purchasing tangible hardware and software. However, the initial outlay is large and often takes months or even years to reach full functionality. I am astonished every time I hear people saying they have spent money and have had to wait up to a year for the technology to go live. Not only that, the advice of receiving a modular solution which you can add to at any time neglects to mention the lead time for any changes to the system. With a managed service, the perception is that the management worries are reduced and support is readily available. In reality, little has changed from an on-premise solution. It is the same hardware and software, just stored elsewhere. So to change messaging and call routing settings the information has to be fed from the manager at the call centre to the account manager in support, before any action can be taken. A contact centre solution in the cloud is seen as the progressive newcomer, changing perceptions and reinventing contact centre customer service. A true cloud service removes the need for hardware or software and is implemented quickly, with simple and easy-t0-use administration interfaces. All the agents need is an internet connection and a phone, thus allowing corporate or workplace agility. What’s more, a true cloud service allows contact centres to be truly scalable, having as many or as few agents as required, and responding rapidly to peaks and troughs in demand and even emergency or unexpected situations. Any new developments or application releases are rolled out to everyone through the cloud. This means that sophisticated call routing technology, caller ID searches and social media integration can be developed and deployed in a matter of days. But mention cloud and people still get concerned around security. The simple solution is to choose your providers carefully, based upon transparency and trust. Providers able to prove their SLAs with a respectable bank of security accreditations are the ones to work with. A great cloud contact centre provider will invest significantly more in security infrastructure than the majority of single businesses could ever hope to. Who needs to have control? The crucial thing is to accommodate the needs of your end users. The call centre is a very different animal to a typical office where standard telephone and IT systems will probably be OK because they tend to be quite fixed. When you’re talking about a customer-facing, dynamic call centre environment, you have to be clear about who has the control and how it’s used. Call centres are all about integration with third-party systems, data recall, etc., so this should influence not just the service delivery choice but how it’s set up. Whilst all the regulations and security issues have to be considered, it must also be remembered that, in a call centre, processes and data are the core of the business, so should be kept close control of, whilst infrastructure can be looked after elsewhere. Often, with managed services, the support hierarchy, change control processes – all those things that need to be in place – get in the way of allowing the call centre to operate efficiently. Directors looking to meet high-level business agendas may opt to use the cloud – but unless they buy a ring-fenced service, with built-in flexibility to match the way their staff work, the agents are hampered by inappropriate systems – and the customer complaints start to roll in. So while managed and cloud-based services can give a business what they want at a high-end level, they can take control away at the operational level. With the cloud, the cost per minute often increases; the perception is that you’re buying the technology but as a user you often pay more. Rostrvm can mirror the commercial framework that you get in the cloud, on site, so you get the benefit of buying services on the open market at a potentially cheaper rate. If you’re a big company, using the cloud is only really viable if you put everything there – if you try and do it piecemeal it becomes expensive. Mid-range companies may find the cloud useful to try new things out and it can be a good way of managing and mitigating risk. Talk to experts who can ensure your call centre makes the right choices; that its data is segregated securely and control is put in the right hands, allowing people to do their jobs and keep customers happy. Just because there’s a box in the back office doesn’t mean it’s any more reliable. The choice of cloud or on site should be a financial choice between an up-front Capex or ongoing service model and should be influenced by the level of support you can provide internally for an on-site solution. But, far too often, the choice is determined by misconceptions about the performance, resilience and security of cloud, often influenced by problematic deployments of cloud-based software over an unreliable network. Just because there’s a box in the back office doesn’t mean it’s any more reliable. In fact many cloud providers can offer far greater resilience and security than is achieved in typical on-site deployments. Cloud is commonly perceived to be deployed directly over the public internet and is associated with latency and performance issues. But this need not be the case, and cost-effective dedicated or semi-dedicated connections can be provided for performance guarantees. Resilience can be provided far more easily in a cloud scenario through offsite back-up facilities and data mirroring. As for security? The answer is that security is less to do with whether it is in the cloud or not and more to do with the policies and procedures of the individual cloud provider, the hosting environment and the network design. If the network and processes are designed correctly, then security can be as good as, if not better than, the existing on-premise deployment. We recently worked with an Italian company that was looking to recruit additional workers because of a shortage of call centre agents close to their existing sites in Rome and in the south of the country. We recommended a hosted solution which enabled employees to work from home regardless of their location. This was the perfect approach to attract new pools of labour, and, ironically, they were even able to recruit staff from as far afield as Albania. This example clearly demonstrates how the specific needs of a business can dictate whether hosted or on-premise-based technology is the way to go. That’s why as a company we do not push one model over the other, but assess and advise on a case-by-case basis what’s right for a particular situation. For the Italian company, they wanted to support a distributed workforce and the cloud was ideal for supporting multiple locations with relatively low investment. However, in other scenarios it may not make practical or financial sense. There are plenty of arguments to support the use of cloud for lower Opex and reduced capital investment. On the other hand, though, many businesses, especially those that are already well established and know that their requirements will remain constant in the future, have already invested heavily in on-premise infrastructure, so it’s often more cost effective to sweat their existing assets. Similarly, for cash-rich organisations and those that want more control over their technology and storage of data, then it may also be preferable to go with an in-house solution. Of course, despite the hype, it’s still early days for hosted, with very few contact centres that are running on 100% virtualised technology. We are still at the stage where cloud is being trialled by many businesses and part of the beauty of hosted is that it is easy to pilot. This is particularly appealing to outsourcers or contact centre-based operations that run multiple campaigns or experience seasonal peaks and troughs. If you need to get up and running quickly, then cloud is the perfect catalyst and there’s relatively low risk. One major benefit that has arisen from the increasing availability of hosted WFO solutions such as workforce management, quality monitoring, interaction analytics, and customer feedback management, is their improved affordability and accessibility to small and medium-sized contact centres. These contact centres can now look at introducing these sophisticated technologies without the capital expenditure and deployment times, as well as the associated administration costs. Also, because these solutions are hosted and paid based on usage, it is easy to scale both up and down as demand dictates. Meanwhile, larger contact centres and those operating across multiple sites or geographical locations can also benefit from this technology off-premise as it is easy to roll out and maintain these solutions via the cloud, from a central location. Whenever talking about off-premise, the issue of security is often raised as a concern, but, in truth, these worries are unfounded. The physical and IT security systems, along with the business continuity plans that are in place at the data centres that provide these services, are usually far higher than the contact centre would have in place itself. 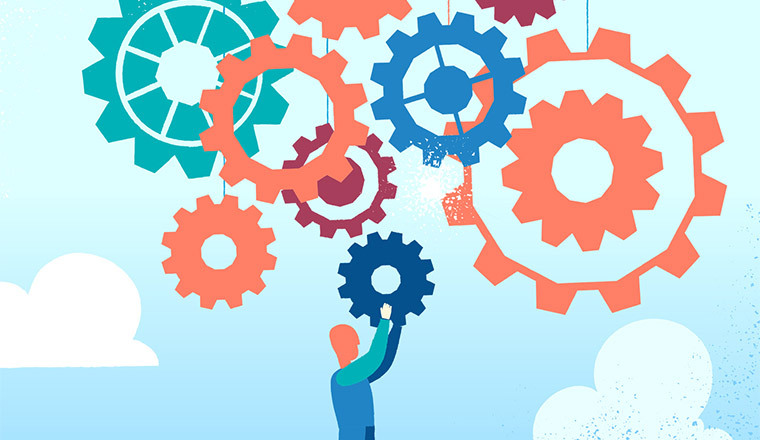 Unless you are opening a contact centre from scratch and you specify all off-premise technologies from day one, it is important that both on- and off-premise technologies can co-exist and complement each other. For example, whilst your voice recording might be managed on premise, the use of advanced interaction analytics and quality monitoring can be seamlessly applied off premise. Contact centres have never had more choice as to the technologies they can use and how they deploy them. Off premise and on premise both deliver huge potential benefits but, in my opinion, the focus should always remain on the quality of the solution and not how it is delivered. A popular dilemma – well explained! Although hosted solutions are considered more dependable and secure.